Here's a lovely canned sardines recipe - you can use normal toast for the kids if they don't like garlic, but I'm going to show you a novel way of making garlic bread that doesn't entail heating a whole oven. Mashed up, tinned sardines make a fabulous sandwich and they are considered to be one of your oily portions of fish a week. They are a good source of protein and omega oils - very heart healthy- they're also extremely tasty. 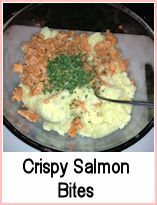 Add them to pizzas, sandwiches, quiches, pasta dishes - they're very versatile and inexpensive. 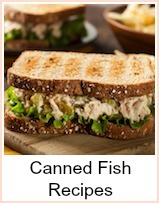 Do check out the links at the bottom of the page here for more canned fish recipes - you can substitute sardines in virtually all of them. Heat your grill and brush one side of your bread with olive oil - at this point, if you want garlic bread, then rub the clove over that side of the bread - toast until browned. Divide your salad between four plates and drizzle a little oil over it and a twist of salt and pepper and a squeeze of lemon. Serve straight away with the garlic bread - you can use extra dressing if you like, mayonnaise, vinaigrette, but I find just a little good virgin oil and lemon juice is fine. You could of course use fresh sardines in this recipe - clean, split and bone the sardines, season and brush with oil and then grill for about 2 minutes either side. Just as an aside here, I had a sick dog who was completely off his food. He was an Irish Wolfhound (named Casey) and was extremely poorly and nothing would tempt him. Our vet recommended I try him with some canned sardines. Poor Casey was quite feeble, but raised his head when I took them over to him. I gave him bits off my fingers and it was the only thing he ate for a few days - several tins, but nothing else. So, if you've got pets who are off their food, try them on canned sardines to at least get some nutrition down them. 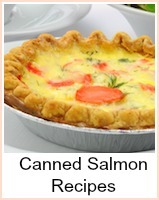 A lot of people get given canned sardines or they buy them thinking they're cheap and might make a good meal. Then they're stuck with recipe ideas. Sardines are very tasty and very healthy - a good source of omega 3s which aren't lost in the canning process. They're a great addition to a pizza, will add a juiciness to a quiche, fabulous in sandwiches or as a snack on toast. 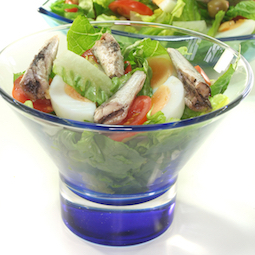 Here's another healthy recipe idea - sardine salad.